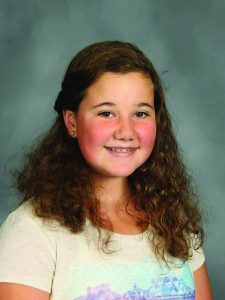 Ellyanna Kraai, 6th Grade, is in the Fine Arts magnet at East Rockford Middle and attended Crestwood Elementary school. She is the daughter of Christin and Tim Kraai. Ellyanna has two older brothers Ayden and Avery. Ellyanna’s hobbies include participating in dance at Reverence Dance as well as singing. Her favorite class this year is choir and she enjoys being able to sing and hang out with friends. Ellyanna feels that the staff at East is what makes ERMS so special, she says they are all supportive and kind. Ellyanna’s favorite food is chicken alfredo with broccoli and her favorite movie is The Greatest Showman. Her career goal is to be a teacher or a baker and her dream vacation is to travel to London or New York City. When asked who she admires the most, Ellyanna replied her entire family. She admires her parents for making the best of everything and her brothers for being supportive even when she may be annoying. She states both her brothers make her laugh and look out for her. She is most proud of the person she is becoming. 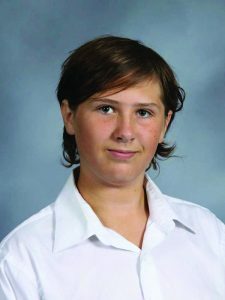 Owen enjoys playing soccer, snowboarding, skim boarding and competing in triathlons. 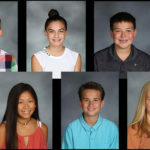 During the school day, Owen enjoys Team Time as he enjoys building projects and working with classmates. He is enjoying the freedom that being in middle school brings. His favorite colors are navy blue and black and his favorite food is lumpia and butter chicken. Owen enjoys the movie Jumanji and his favorite book is Duke. Owen would like to attend Western Michigan University and would like to be an architect or engineer. His dream vacation is to go out West and ski. The person Owen admires is his grandpa. He was a successful doctor and businessman and always took good care of his family. Owen is most proud of his grades and being on the Principal’s Honor Roll at East. Marlo Whitford, 7th Grade, is daughter of Christy and Cory Whitford. She is the oldest sister to Jovie and Adler and the family has a 17 year old cat name Malik. Marlo attended Crestwood Elementary. Her favorite class at ERMS is Math, with Mr. Ouellette, and she enjoys Bad Joke Mondays in the class. In her free time, Marlo is very active playing volleyball, riding bikes, reading and camping with her family. Marlo’s favorites include: the colors Kelly green and light blue, eating pizza rolls, and going out to eat at the Olive Garden. She enjoys listening to country music and reading murder mysteries. Her dream vacation is to go someplace warm and tropical. She admires her parents because they are both great cooks and have great jobs. She is most proud of herself for receiving this honor and for making the volleyball team. 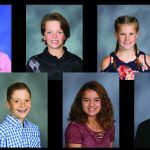 Ryan Kelley, 7th Grade, is the son of Tim and Tina Kelley, He has an older sister Carli and the family has one pet, a cat named Yoda. Ryan is a Cannonsburg alum who enjoys playing hockey on a travel team. 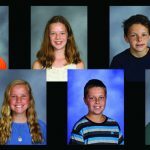 He also plays lacrosse and golf and is on the ERMS tennis team this year. Ryan’s favorite class this year is Digital Communications as he enjoys the editing process. According to Ryan, the best thing about East are the chocolate chip cookies from the cafeteria. Ryan’s list of favorites include: the color yellow, eating brownies, watching the movie Slapshot and listening to rap music. Ryan is a Purdue fan and he would like to one day be a sports broadcaster. His dream vacation would be to attend a Stanley Cup Finals game. When asked who he admires the most Ryan replied: his parents because they are such good role models. Ryan is most proud of winning the Irish cup MVP from a hockey tournament his team played in. 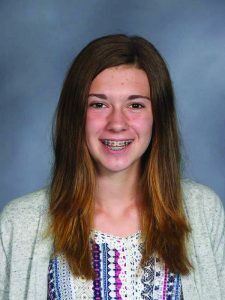 Addison Forrester, 8th Grade, attended both MeadowRidge Elementary School and North Rockford Middle for 6th and 7th grade. She is the daughter of Eric and Kerri Forrester and she has one brother, Braden. 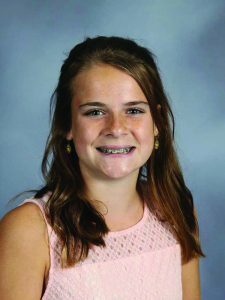 Addison’s many interests include: mountain biking, playing soccer and basketball, skiing, snowboarding and running. Her favorite class this year is Rock History with Mr. Posont and Addison feels that the best thing about East is the environment of the school and that the staff and students are helpful and kind. Addison’s favorites include: eating shrimp and steak tacos, watching the movie Hotel For Dogs and listening to pop and country music. Addison would like to attend Western Michigan University and study business. Her future plans also include traveling the world and taking photos. Her dream vacation is to travel to Zambia to see the people and water wells that her running team World Vision have provided there. The person Addison admires the most is her great grandma who is a hard worker and always shows kindness. Addison is most proud of the fact that she has ran two half marathons to raise funds for clean water in Africa. 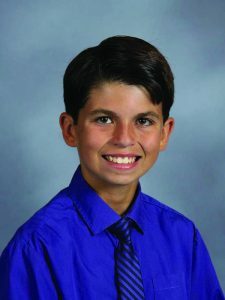 Evan Joosten, 8th Grade, is the son of Karissa and Tim Joosten. The family has two dogs, Smitty and Watson. 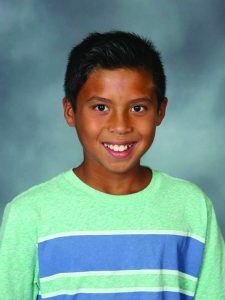 Evan attended elementary school in Washington before moving to Rockford in 4th grade and finishing elementary school at MeadowRidge. Evan’s hobbies include collecting coins, typewriters, records and anything historical. 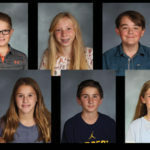 Evan’s favorite class is US History with Mr. Posont and his favorite thing about East is the staff because they are so kind and welcoming and make learning fun. Other favorites include; the color green because his eyes and birthstone are green. Beef stroganoff, when his dad makes it and watching Ferris Bueller’s Day Off. His favorite band is Pink Floyd and other classic rock artists. He would like to attend the University of Michigan and perhaps West Point. His career goal is to be a middle school teacher. His dream vacation is to travel to London again and perhaps live there. When asked who he admires the most, Evan replied his grandma Katherine. She went to Hollywood when she was 50 and became a successful actress. Evan is most proud of his 5th grade Odyssey of the Mind team for placing first at state and in the top 20 at the World Competition.